It will be 5 years this year since I photographed my first boudoir shoot! Time flies when you’re having fun! 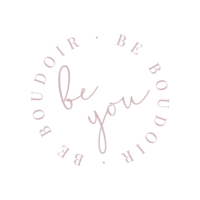 My boudoir business has grown in leaps and bounds since I first started and I’ve helped hundreds of women see their beautiful. Miss A replied to one of my Model Calls a few years ago – I was looking for some ladies to photograph in my new home studio, to test the light and see how I could work in the new space. I’d say the shoot was a success! My clients just love the studio – it’s beautiful, calming, and the light is to die for!